Irina Vladimirivna OSOKINA, M.D., Ph.D. currently working at Endocrinology Dept, Krasnoyarsk Science Centre of the Siberian Branch of Russian Academy of Science, Russia. M.D. (Pediatric Endocrinology): In November 1992 I had defended scientific research paper. The name of the thesis: "Clinical, Immunogenetic and Hormone-Metabolic Peculiarities of Insulin-Dependent Diabetes Mellitus in Early Childhood and Preschool Age". I worked in 1987-1993 under the guidance of academician Ivan.I. Dedov in the National Research Endocrinology Сenter, Russian Academy of Medical Sciences in Moscow. Ph.D. 2002. (Endocrinology). In November 2002 I had defended the Ph.D. thesis: "Epidemiological and Immunogenetic Peculiarities of Type 1 Diabetes and Iodine Deficiency Disorders in Central Siberia"in National Research Endocrinology Сenter, Russian Academy of Medical Sciences, Moscow (under the guidance of academician Ivan.I. Dedov. Now he is the President of Russian Academy of Medical Sciences) Membership of national and international societies: International Society for Pediatric and Adolescent Diabetes. International Council for Control of Iodine Deficiency Disorders. Russian Endocrinology association Russian Pediatric association Japan-Russia Medical Exchange Association She have published many articles in top renowned journals and have eminence experience in the field of Endocrinology and Diabetes. Endocrinology, Paediatric Endocrinology, Diabetes, Thyroid Disorders. Dr. Mayank Singhal is a graduate from University College of Medical Sciences and currently working as an Academic Hospitalist at Cape Fear Valley Hospital, NC, USA and affiliated with Methodist University as Associate Professor of Clinical Medicine. He is also teaching faculty for Internal Medicine Residency at Campbell University School of Osteopathic Medicine, USA. 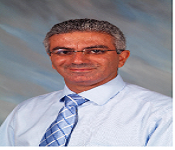 He is Board Certified in American Board of Internal Medicine (ABIM). He is a member of Society of Hospital Medicine and American College of Physicians. He is also active as a Reviewer for scholarly articles and member of Editorial board for journals. Dr. Joseph Fomusi Ndisang is an Associate Professor in the University of Saskatchewan College of Medicine, Department of Physiology. He received postdoctoral training in Physiology at the University of Saskatchewan College of Medicine from 2000-2005. He obtained a PhD in Pharmacology & Toxicology from the University of Florence, Italy, 2000. He obtained a Doctor of Pharmacy degree from University of Florence, Italy in 1995. He has received several distinguished awards and distinctions including: (i) Fellow of the Canadian Cardiovascular Society (FCCS) in 2016, (ii) Fellow of the American Heart Association (FAHA) in 2011; (iii) Fellow of the International College of Angiology (FICA) in 2007; (iv) Young Investigator Award by International College of Angiology (2007); (v) Young Investigator Award by the American Society of Pharmacology & Experimental Therapeutics-Division for Drug Discovery, Development & Regulatory Affairs (2005); (vi) Young Investigator Award by the Society of Experimental Biology and Medicine (2005); (vii) Caroline tum Suden/Frances A Hellebrandt Professional Opportunity Award for Meritorious Research by the American Physiological Society (2005); and (viii) Recognition Award for Meritorious Research by a Young Investigator by the American Physiological Society (2004). Top 5% of cited authors in journals of Biology and Biochemistry in 2011, by Thomson-Reuters. Currently, Dr. Ndisang is an Editor for Frontiers in Bioscience (impact factor 3.8) and Executive Guest Editor for Current Medicinal Chemistry (impact factor 3.7) He has published more than 65 -full length manuscripts in peer-reviewed journals and more than 80 abstracts. 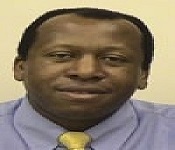 Dr. Ndisang has served as external PhD examiner for several universities in Canada, has given more than 30-invited talks, and has also served as peer-reviewer for several reputed journals (like NEMJ) and granting agencies in United States, United Kingdom, Canada, New Zealand and Poland. His research is mainly focused on hypertension, diabetes (types-1 and -2), and obesity. Sharma S. Prabhakar is a distinguished nephrologist currently at Texas Tech University Health Sciences Center, where he is a tenured professor in the Departments of Medicine and Cell Physiology and Molecular Biophysics, and the Chief of Nephrology Division and Vice Chairman, Department of Medicine. 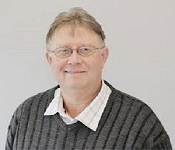 He is an established researcher examining pathophysiologic mechanisms of diabetic nephropathy and of insulin resistance in vitro and animal models.Dr. Prabhakar has over 100 publications including original articles, reviews, book chapters and published abstracts in prestigious journals, such as the American Journal of Physiology, Journal of American Society of Nephrology, and Kidney International. In recognition of his excellence in practice of medicine, Dr. Prabhakar was awarded an endowed chair by the University Medical Center. He is active in several professional societies and organizations and is the current President of American Federation for Medical Research. 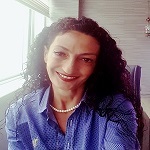 Professional interests include research and also educating physicians and general community in hypertension, diabetes and kidney disease. Ralph Abraham is the Clinical Director of London Medical, which he founded as The London Diabetes & Lipid Centre in 1991. Starting his career as a biochemist at Oxford, he did a PhD in Biochemistry at Imperial College on insulin resistance in obese mice, a subject that is all too relevant in the management of diabetes today. Abraham was trained at the Hammersmith Hospital and Kings College Hospital in gastroenterology and hepatology before specialising in Endocrinology and Diabetes at St Mary\'s Hospital and St Bartholomew\'s Hospital, leaving the NHS in 1986. Dr. Abraham works in full time private practice with a successful and recognised expertise in diabetes, endocrinology, lipid disorders and obesity management. Dr. Christian Dani, Ph.D, is an expert in human adipose-derived stem cells and differentiation of pluripotent stem cells into adipocytes. He did a Ph.D in molecular biology in Montpellier University (France). Then, he conducted a 2-year program research on the biology of embryonic stem cells in Pr. A. Smith’s laboratory (Edindurgh, Scotland). He is now director of research at the French National Institute for Health and Medical Research (INSERM) and the director the “Stem Cells and Differentiation” laboratory at the University of Nice-Sophia Antipolis. Guy H Fontaine has made 17 original contributions in the design and the use of the first cardiac pace makers in the early 60s. He has serendipitously identified ARVD during his contributions to antiarrhythmic surgery in the early 70s. He has developed the technique of Fulguration to replace surgery in the early 80s (technique used during 30 years in Paris). He has been one of the 216 individuals who have made a significant contribution to the study of cardiovascular disease since the 14th century, one of the 500 greatest geniuses of the 21th Century (USA Books), one of the 100 Life Time Achievement (UK Book). He has more than 900 publications including 201 chapters in text books. He is the reviewer of 26 scientific journals both in basic and clinical science. He served as a member of the Editorial Board of Circulation for 5 years, after reviewing articles for this journal during decades. He has given 11 master lectures of 90 minutes each in inland China in 2014. He has recently developed new techniques of hypothermia for brain protection in OHCA and Stroke. This technique has been fortuitously used after resuscitation of his wife at home in June 2011 with absolutely no neurologic deficit despite 6 minutes of no flow. He has also invented a high-tech device which can be considered the ultimate in palliative care by preventing unexpectedly awaking after ordinary sleep. This device was mostly designed for major neurologic disorders. The author received an honorable PhD in mathematics and majored in engineering at MIT. He attended different universities over 17 years and studied seven academic disciplines. He has spent 20,000 hours in T2D research. First, he studied six metabolic diseases and food nutrition during 2010-2013, then conducted research during 2014-2018. His approach is “math-physics and quantitative medicine” based on mathematics, physics, engineering modeling, signal processing, computer science, big data analytics, statistics, machine learning, and AI. His main focus is on preventive medicine using prediction tools. He believes that the better the prediction, the more control you have. Dr. Pedro A. Jose is Professor of Medicine and Pharmacology/Physiology, The George Washington University School of Medicine & Health Sciences, Visiting Professor, Third Military Medical University, Chongqing, China, Visiting Professor, Anhui Institute of Cardiovascular Disease, Anhui, China, and Concurrent Professor, Nanjing University School of Medicine, Nanjing, China. The primary goal of Dr. Jose’s research is to determine the genetic and pharmacogenetic bases of human essential hypertension and the metabolic syndrome. Specifically, the mission of his laboratory is to study the role of dopamine, adrenergic, and angiotensin receptor subtypes and dopamine regulatory genes (e.g., G protein-coupled receptor kinase 4 [GRK4], sorting nexins, gastrin) on sodium transport in specific nephron segments and their roles in the pathogenesis and treatment of genetic hypertension and metabolic syndrome. Dr. Jose’s studies are performed in vitro and in vivo, using molecular and cell biological methods, including gene silencing, gene rescue (e.g., AAV vectors), confocal microscopy and biophysical imaging, and integrated physiology in rats, mice, and humans. A key finding of Dr. Jose’s research is the demonstration of the crucial role of gene variants of GRK4 in the pathogenesis and personalized treatment of hypertension. Dr. Jose and his associates have discovered genes that cause high blood pressure when sodium intake is excessive and more importantly, genes that cause high blood pressure when sodium intake is too low. He has published more than 380 scientific articles in book chapters and journals. His articles are currently cited more than 10,000 times, with 57 cited 50 or more times, 19 of which are cited more than 100 times. Four of his articles are covers of scientific journals, six are the subject of editorial commentaries, and two are featured articles. His Hirsch-index is 52. Dr. Jose has received several academic and research awards, including the 2003 Lewis K. Dahl Memorial Lecture (American Heart Association), 2007 Ernest H. Starling Distinguished Lecture (American Physiological Society), 2007 MERIT award (National Institutes of Health), and 2015 Excellence Award for Hypertension Research (American Heart Association). 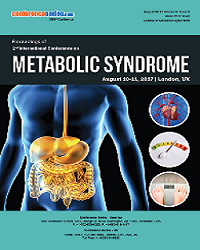 Metabolic syndrome, Pharmacology, Health Sciences. Jie Shen M.D., Investigator, Chief Physician Department of (1 ) Endocrinology and Metabolism (2 ) The center of immunological genetics and HLA typing, The First Affiliated Hospital of Nanjing Medical University Academic Position 1. Academic Committee Member for Chinese Diabetes Society Jiangsu Branch 2. Vice chairman for China Microcirculation Society Jiangsu Branch 3. Member of Expert Committee for China Marrow Donor Program 4. Academic Committee Member for China Diabetes and Microcirculation Society 5. Clinical Consultant for UpToDate. 6. Advisory Board Member for Medical Education Culture and Health Committee for the China Revolutionary Committee of the Kuomintang Jiangsu Branch EDUCATION & LISCENSE 6/2014- Ph. Doctor Candidate in Medical Sciences 11/2007-11/2008 Postdoctoral Fellow for NIH, NIDDK , Phoenix USA 12/2001-present Licensed to practice medicine in China 07/2000 M.D. and M.S. in Medical Sciences, Ningxia Medical College, Yinchuan, China (09/1997-07/2000) 07/1986 Graduated from Nanjing Medical University, major in Basic and Experimental Medicine, Nanjing , China (09/1982- 07/1986) Work Experience: 2009-Present : (1 ) Investigator, Chief Physician ,Director, The center of immunological genetics and HLA typing (CDMP data bank lab for Jiangsu Province), (2 ) Investigator, Chief Physician for the Department of Endocrinology and Metabolism, Jiangsu Province Hospital(First Affiliated Hospital of Nanjing Medical University) 2007- 2008 : Postdoctoral Fellowship at the Phoenix Epidemiology and Clinical Research Branch, NIDDK, NIH, in Phoenix, Arizona. 2006-2009: Associate Investigator, Associate Physician, Associate Director, Clinical Scientific Research Center, Jiangsu Province Hospital(First Affiliated Hospital of Nanjing Medical University). 2002-2006: Associate Investigator, Acting Associate Director, HLA genotyping laboratory, Jiangsu Province Hospital(First Affiliated Hospital of Nanjing Medical University) 2001-2003: Physician-in-charge, Department of Endocrinology, The First Affiliated Hospital of Nanjing Medical University 1997-2002: Assistant Investigator, Secretary of Scientific Research, Department of Endocrinology, The First Affiliated Hospital of Nanjing Medical University 1995-1997: Technician-in-charge, Department of Endocrinology, The First Affiliated Hospital of Nanjing Medical University 1989-1995: Technician, Department of Endocrinology, The First Affiliated Hospital of Nanjing Medical University 1986-1989: Practice Technician, Department of Endocrinology, The First Affiliated Hospital of Nanjing Medical University Research Experience: 2009-Present: Research for Epigenetic Regulation on Obesity and Type 2 Diabetes. Epidemiology Study on Chinese Population HLA Typing and HLA Related Diseases Research ( such as Type 1 Diabetes Subacute Thyroiditis and Thyroid Nodule) Clinical Practice on Endocrine and Metabolic Diseases 2007- 2008 : Postdoctoral Fellowship at the Phoenix Epidemiology and Clinical Research Branch, NIDDK, NIH, in Phoenix, Arizona. The major goal of my research in NIH is to identify the specific role of genetic factors in the etiology of diabetes. This work involves various methods of high throughput genotyping, use of techniques from population genetics and computational statistics to analyze genetic variation in humans. 2006-2009: Co-Investigator, Associate Director, Clinical Scientific Research Center, Jiangsu Province Hospital. 2002-2006: Co-Investigator, Associate Director, HLA genotyping laboratory, Jiangsu Province Hospital 2001-Present: Attending Physician, Department of Endocrinology, The First Affiliated Hospital of Nanjing Medical University 1997-2002: Research Associate, Department of Endocrinology, The First Affiliated Hospital of Nanjing Medical University 1995-1997: Research Assistant, Department of Endocrinology, The First Affiliated Hospital of Nanjing Medical University 1989-1995: Technician, Department of Endocrinology, The First Affiliated Hospital of Nanjing Medical University 1986-1989: Practice technician, Department of Endocrinology, The First Affiliated Hospital of Nanjing Medical University 1990-1993: Scientific Research Co-operation, Institute of Genetics, School of Life Science , Fudan University. Shanghi, China. 1995-1996: Scientific Research Co-operation, Institute of Biochemistry, Chinese Academy of Sciences. Shanghi, China. 2003-present: Scientific Research Co-operation, Institute of Genomic, Chinese Academy of Sciences. PROFESSIONAL AWARDS 1. Outstanding Scientist for Jiangsu Province 2007. The Organization of Awarding the Prize: The Government of Jiangsu Province 2. The Pathological Study of Macrovascular Disease in Type 2 Diabetic Patients. Rank of Award:Ⅳ Date of Issue: Nov.1995 Certificate No. : 4-144-2 The Organization of Awarding the Prize: Academic Committee of Science and Technology Prize Jiangsu Province , China. 3. The Study on Insulin Receptor Gene Variations and Their Relation With Insulin Resistance. Rank of Award:Ⅲ Date of Issue: Dec.2001 Certificate No. : 3-231-1 The Organization of Awarding the Prize: Academic Committee of Science and Technology Prize Jiangsu Province , China. 4. 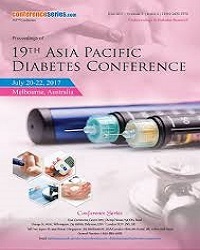 The Study of Early Diagnosis and Prevention of Type 1 Diabetes Mellitus Rank of Award:Ⅲ Date of Issue: Dec.2001 Certificate No. : 3-230-5 The Organization of Awarding the Prize: Academic Committee of Science and Technology Prize Jiangsu Province , China. 5. The Study of Risk Factors and its Pathology in Type 2 Diabets and its Macrovascular Complications Rank of Award:Ⅲ Date of Issue: Dec.2003 Certificate No. : 3-166-2 The Organization of Awarding the Prize: Academic Committee of Science and Technology Prize Jiangsu Province , China. 6. The Cytomorphological Changes of Smooth Muscle Cell in Various Concentrations of Glucose. Awarded for the Excellent Article The Organization of Awarding the Prize: Academic Committee of Science and Technology Prize , Jiangsu Province , China. 7. The Pathological Study of Glucose Transport Gene on Type 2 Diabetes Mellitus Rank of Award:Ⅳ Date of Issue: Nov.1995 Certificate No. : 4-145-4 The Organization of Awarding the Prize: Academic Committee of Science and Technology Prize Jiangsu Province , China. Endocrinology and Metabolism,immunological genetics,immunological genetics,Obesity . Dimitris T. Papadimitriou received his MD, his PhD on Pediatric Endocrinology and his specialty on Pediatrics at the University of Patras, Greece. He subsequently received a master in pediatric endocrinology from the Paris V University, and a master in Medical Pedagogy at Joseph-Fourier University (Grenoble, France), where he worked as a Lecturer (CCU) for 2 years. Since December 2005 he is Director of the Department of Pediatric-Adolescent Endocrinology and Diabetes of the Athens Pediatric Center in Athens and a Scientific Associate - University Scholar of the 3rd Pediatric Clinic of the University of Athens at Attikon Hospital. Zeev Blumenfeld is MD for Hebrew University and Hadassah Medical School, Jerusalem, and he is the Director for Reproductive Endocrinology for the department Obstetrics & Gynecology. He worked as Director in the year 2010 for Reproductive Endocrinology; he is a Senior Physician for Reproductive Endocrinology and Infertility, OB/GYN. He has an extensive and vast teaching experience in the field of "Reproductive Endocrinology". He taught Director of Endocrinology Course for medical & graduate students, Director of “Physiology of Reproduction” course. He worked as a Reviewer for many scientific Journals. He also has membership for International and National professional societies. He Elected as member of the "Society for Gynecologic Investigation". Worked as Editor in Chief- ‘Clinical Medicine Insight: Reproductive Health’, "Journal of Reproductive Biology and Health". Dr. Lodhi graduated from medical school in 1999. She did her Family Medicine Residency at Virginia Commonwealth University. This is where she recognized her calling in Geriatrics. She then did her fellowship in Geriatrics at George Washington University. In 2011, she became a faculty member at the same department as Assistant Professor of Medicine. Since then, she has been a versatile part of GW Geriatrics and Palliative practice. She believes in maintaining relationships with her patients through the continuum of outpatient, inpatient, post acute and long term care settings. She is also part of GW Palliative care practices, including home based hospice and inpatient hospice unit. Teaching is her passion! She has introduced the medical students, primary care residents to Geriatrics Medicine out of the traditional settings into assisted living facilities, post acute and long term care. Her Geriatrics/scholarly interests include healthy aging, improving care transitions especially through focus on medications and developing multifaceted systems to improve care delivery to seniors, incorporating community resources, deploying available technology to provide patient cantered care.